Big Finish: TORCHWOOD: THE CONSPIRACY Review | Warped Factor - Words in the Key of Geek. For a spin-off series, Torchwood has taken on a life of its own since it debuted on television nearly a decade ago. Yet since it's fourth and to date final season, subtitled Miracle Day, aired back in 2011 it has been a series without a home. Even as someone who has never been the biggest fan of the series, I couldn't help but be intrigued by the announcement some months ago now that Big Finish Productions (the company that has, since 1999, produced literally hundreds of audio dramas based on Torchwood's parent series Doctor Who) would be making new Torchwood stories. The first, The Conspiracy, was released back in September and looks to be a promising start for the series tenure at Big Finish. 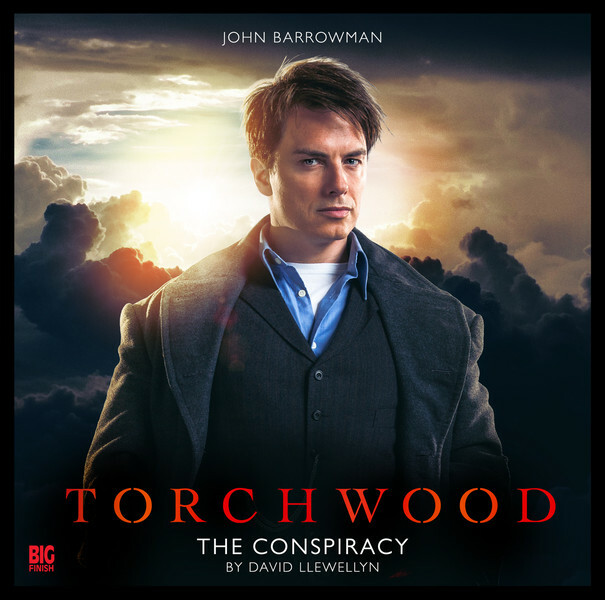 This of course isn't the first time that Torchwood has been an audio drama, as a number of productions were aired on BBC Radio 4 between 2008 and 2011. What Big Finish have done is slightly different from what those productions did. Whereas the Radio 4 stories featured the entire team (as it stood when the respective stories were being produced), the Big Finish ones will focus on one or two members of the Torchwood team, specifically in a combination of full-cast audio drama with the occasional bit of narration. The Conspiracy is really a pilot for this new format and it is one that works splendidly. At its heart, The Conspiracy is a conspiracy thriller. 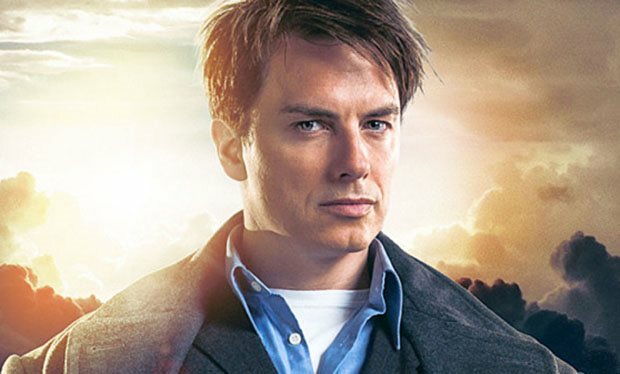 David Llewellyn's script finds Captain Jack Harkness (once again played by the one and only John Barrowman) looking into the claims of George Wilson, a news anchor turned stalwart of the conspiracy theory circuit. Wilson (played by John Sessions) claims that the world is being controlled by an alien influence called “The Committee” who has been influencing our world for a century or more. Captain Jack has his suspicions about what Wilson knows, despite Wilson's daughter Kate's apparent belief that it's all nonsense. When a conspiracy theory blogger gets involved though, things take a more sinister turn. It's a classic conspiracy thriller set-up that Llewellyn puts to good use which gives this first Big Finish Torchwood outing a solid foundation to stand upon. It's also anchored by some solid performances. Having heard some of the Radio 4 Torchwood outings, I had always found that Barrowman came across rather oddly on audio, as if trying too hard to convey things with just his voice rather his trademark facial expressions. Barrowman is much improved here, coming across far more naturally and realistically in his conversations and interactions with other characters. One of the highlights of this release is the occasional narration which is perhaps more akin to an internal monologue, including a wonderfully written and beautifully delivered one regarding what it is like for the good Captain to die and come back to life. The other highlight of the cast is Sessions' Wilson whose claims and personality echo those of popular conspiracy proponents such as David Icke in the UK and Alex Jones here in the United States. Sessions could easily have played him as a parody of the conspiracy theorist type but instead we get a more nuanced performance which adds layers to the character and makes him far more three dimensional. The scenes where the two of them are in conversation are wonderful to listen to. The additions of Sarah Ovens as Wilson's daughter Kate and Dan Bottomley as conspiracy blogger Sam round off the cast nicely and together they support the performances of Barrowman and Sessions. Last but not least, is Big Finish's ever excellent production values. The sound design of Neil Gardner is well-realized, bringing to life the myriad settings of the story from convention halls to hotel rooms and the familiar streets of Cardiff. The music score from BAFTA nominated composer Blair Mowat is also a treat to listen to from his slight reworking of the Torchwood theme to the music used to heighten the tension throughout which echoes the Murray Gold scores of the TV series while also going off in some new and exciting directions. All of this comes under the direction of Scott Handcock who turns in a wonderful production that all involved should be proud of. For fans of Big Finish's output or Torchwood fans eager for more of their favorite series, The Conspiracy is a must hear story. Barrowman is on fine form as Captain Jack, backed up by a strong supporting cast led by Sessions' as Wilson. The script is a classic conspiracy thriller story which features the strong production values we've come to expect from Big Finish. At the very least, it's a promising start to Big Finish's Torchwood series and one that should leave listeners eager for more.